If we want companies to follow, we have to lead. We’re proud of the work we’ve done to drive change toward more sustainable business practices. Seventh Generation has been a leader in ingredient disclosure, listing all ingredients online since 2002, and listing all ingredients (including fragrance components) on-pack since 2008. Seventh Generation was a leader in establishing the industry Voluntary Ingredient Communication program. Seventh Generation was the first company to introduce unbleached, 100% recycled bath tissue in 1990. Seventh Generation was a leader in phosphate-free household cleaners and led the fight for passage of phosphate bans in several states, resulting in an industry voluntary ban in 2010. 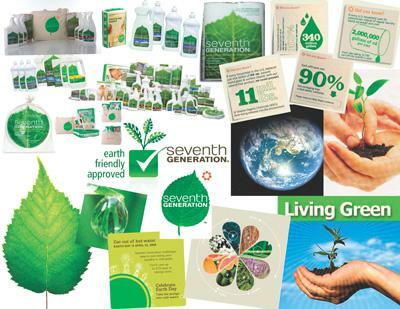 Seventh Generation was a leader in VOC-free household and personal care products, exceeding CARB requirements by having zero VOCs, since 2002. 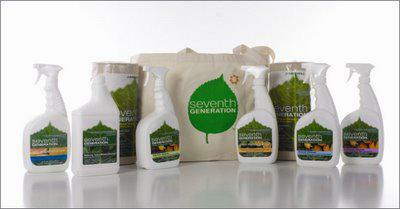 Seventh Generation was the first company to use the USDA Biopreferred logo on its home care and personal care lines. Seventh Generation was the first company to introduce diapers containing 100% FSC certified wood pulp. Seventh Generation was the first company to introduce diapers with 100% unbleached wood pulp in its diapers. Seventh Generation has been a leader in implementing use of 100% PCR bottles (our bottles, on average exceed 87% PCR content), and we include the Sustainable Packaging Coalition (SPC) How to Recycle icons on each package. Seventh Generation was a leader introducing 100% polypropylene sprayers (no metal springs) on spray cleaners. 100% polypropylene sprayers can be recycled with the rest of the bottle. Seventh Generation was the first home care company to obtain GreenPalm certificates for 100% of its palm kernel oil purchases. Our third party certifications prove that we work relentlessly to meet tough standards for accountability, transparency, and social and environmental performance. We are proud to be a founding member of B Corp and a certified B Corporation. That means we meet rigorous standards and regular audits of our social and environmental performance, accountability and transparency. We encourage others to join us. Together, we can use the power of business to fuel a better future. The Leadership in Energy and Environmental Design (LEED) program recognizes buildings that meet specific criteria in six broad categories related to sustainable design: Water Efficiency, Energy and Atmosphere, Materials and Resources, Indoor Environmental Quality, Innovation and Design, and Sustainable Sites. Seventh Generation’s offices incorporate a variety of materials, technologies, and features, which combine to create a facility that conserves resources, safeguards the health of its occupants, and makes positive contributions to the larger community.